Will it still look like this? Fans of the Zelda series were treated to footage and information on both The Legend of Zelda: Wind Waker HD, and the newly titled The Legend of Zelda: A Link Between Worlds. This was more than enough to feed our needy ears, however a lot of us are itching to hear about the Zelda title in development for the Wii U. Speaking to Game Informer, legendary video game designer and creator of the series, Shigeru Miyamoto, said the anticipated new title for the Wii U is further along in development than we expected, so much so that Nintendo considered showing it at this year's E3. We're also working on a new Wii U Zelda game. Work on that is progressing fairly concretely. In fact, we were thinking about showing it here at E3 but decided to wait just a little bit longer before sharing it with everyone. It's fantastic to know the game's progressing nicely and we're looking forward to hearing more about the title, we're sure you are too, so let us know your thoughts in the comment section below. They really should have shown this. Hopefully it'll be looking pretty awesome by the time they actually do show it off then, next year or whenever that may be. Until then, I can make do with some Wind Waker. It makes sense that they never showed it as along with Wind Waker it would have seemed like overkill.Not that Nintendo seems to mind doing that anyway but still. Oh man, can't wait! As much as I would like to see it ..like, immedieately, I think it would be wise for Nintendo to leave it off for just a little bit later, cause we got to see two new Zelda games in one day anyway, and being exposed to three at one time may be a little too much Zelda for some to hanndle lol. But no, waiting off just a little longer would be the wise choice imo. We need to let these games seep in first. With the way Nintendo Directs have been this year, it stands to reason for them to wait. Difficult to gauge, but my guess is they'll drop some footage of it early next year, though more likely that next years E3 will be the big reveal. There's enough content coming to keep me happy though. Only thing that would make me happier is if they showed off a new original IP, or revitalize an older franchise. Yeah I think a teaser would have been smart to show, it could have stuck in peoples minds who were kind of unsure about xbox and didnt care for playstation. It's probably going to be Wind Waker 2 or something else that doesn't correspond to the demo at all. I have a feeling we'll get at least a small glimpse of it by the end of the year, if Nintendo is really that far along with it. Pretty much confirms it for Holiday 2014 release. They should have showed this one and just release the Wind Waker in the VC. Remakes of games that have never appeared in a Nintendo console have a pass. Nintendo games don't. The VC is to play those older games. Those words could mean just about anything really, and I think they're right not to show anything if they're not that far in. 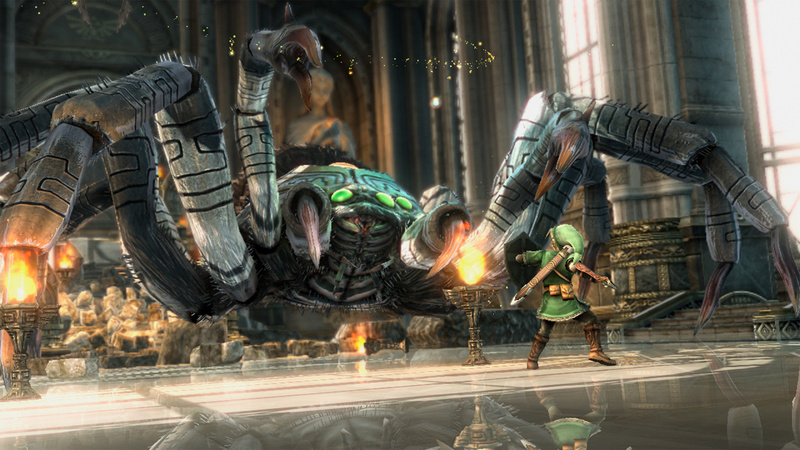 Look at Twilight Princess, which was delayed and eventually came out over 2 years after it was first shown. If they show it next year with a 2015 date I'll be happy. B: some stunning and amazing would have served well amidst everybody showing their next gen games, to reaffirm that graphically the wii u is next gen to the masses, nothing blows people away at e3 like the hyrule overworked fanare and a glimpse at the next stunning zelda game. No thanks!! Look how long Kid Icarus and Luigi's Mansion took to come out after they showed them. Seems like forever. Show it to me when its less then a year please!! This is good to hear. I wonder if we will see it at Gamesom or TGS? Good, there is almost a demo, i get why they didn't even did a teaser: i would have made people only piss-off their socks for showing only useless stuff. This E3 was even to much full of teasing from other companies. At least they didn't dare in that territory. I can understand why they didn't show it, but that doesn't mean I have to like it. I just LOVE Zelda but I think they done good to save this for next year. They should've shown it,but hey that's the way life goes. If they had shown this, they'd have won E3. It would've been better than Donkey Kong and Art Academy by far. Glad to hear its progressing so quickly. Hope we can get it soon, maybe holiday 2014 or early 2015? I think we are going to see 4 Zelda on Wii U in this generation.2 new titles and 2 hd remakes. Hope its better than Skyward Sword, which was easily the worst Zelda title yet. That's Kool & The Gang,but...what about Metroid and Star Fox? Oh,well.Still tough, I think it was wise not to reveal it now,especially since I assume the game has a long way until release and they revealed a bunch of new games already,so it's normal that they would save something that big for next year. @theadrock13 That's definitely subjective. I though SS was great. I think Nintendo's wise for doing this. Release WW and then reveal the new Zelda a month later. they should have shown this. this would have totally made that crappy direct worth it. I'm actually happy they didn't show it. It'll be all the more mind-blowing when it's finally unveiled in a future Direct. I still smile just by remembering my reaction to their original A Link Between Worlds reveal a couple months ago. I completely forgot about this. This just adds to the disappointment of yesterday's Nintendo Direct. I'm glad to see the creation of the game is doing good. The HD for the game looks fantastic. Another cart has been added to the hype train; I can't decide when one to sit in! Sonic Lost World, Mario Kart 8, Super Smash Bros. U, or this? So much HYPE! Nintendo, if you have Zelda Wii U at a level when it could have been shown, SHOW THE DAMN GAME!!! Twilight Princess debuted with only an FMV and the crowd went wild. How much of that video remained in the game? Hardly anything. Zelda U would have single handedly won you E3. @DarkCoolEdge Yeah, I'd have to agree with you there. I don't understand why all these remakes. I'll likely pass on Windwaker HD unless it turns out to have a substantial amount of new content, like the infamous "missing dungeon". Maybe it is too soon to show more Zelda Wii U but I also would have loved to have seen a trailer for it. They will show their ZeldaU after the release of WindWaker . I expected this....anyway, i am more than happy with 2 Zelda's on the way soon. Maybe they will do a Zelda mini Direct later in the year to show off 3ds and WW closer to release and reveal it then? Nice to hear development is coming along nicely. Let them take their time. I was fine with what was shown. People are too hard to please anyways. They should have shown a little bit of it imo. Yeeaaah, probably best not to terribly overshadow the other goodies Nintendo's offering. Besides, there were already two Zelda games in attendance. No need for over saturation. Good call. A new console Zelda would definitely overshadow a remake of an old one, and potentially a handheld Zelda as well. Skyward sword is a great game but I wish you could take off all that Wii motion plus crap and just play the game normal. Just swing the darn sword. Well at least we know a new Zelda is in the works. Please new Metroid no stupid Donkey Kong crap. @theadrock13 you couldn't be any more wrong than you are right now. WW is one of those Zelda games that derailed from the story that some of us grew up with. That game was the worst and spawned a bunch of embarrassing handheld Zelda games. TP and SS were amazing. Not OoT amazing but they definitely held what made Zelda so great. Not WW. To me, personally, an HD remake should NEVER have been wasted on WW. Why? Because if you list the Zelda favorites by the generation that grew up playing it from the beginning, WW wouldn't be near even the middle. It's not garbage, but it's not worthy of a remake and OoT gets the handheld treatment. That's absurd. Honestly, I'd have taken a TP HD remake. That would have been astronomically better. @krunchykhaos And I'm quite sure that you couldn't be more wrong. And since I've been playing Zelda since 1986 (NES) and ever iteration since, and all my friends who I've grown up with still play and love Zelda all agree with me... I'd say your "surveyed numbers" are flawed. SS is garbage; WW is a gem. Obviously we're all entitled to our subjective opinions, but anybody who disagrees with my opinion is wrong. @theadrock13 you're opinion is so backwards but since you stick by it so strongly it's meaningless to argue with you. I didn't say all of us would choose like I would, I mean you're one of...one that I've seen say that, but everyone else I've talked to would either one: say SS is better or they enjoyed WW. Two: hate WW and enjoyed SS or three didn't really care for either. Personally I love SS for its story value because it is more relevant to the OoT timeline than WW was. I will never agree with you but since that's how you want to think than sure. Go ahead, but it's not fact. In game footage or it never happened! First off, I respect both of your opinions and this is in no way meant as an argument. 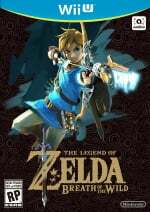 Personally, Twilight Princess is my least favorite, with Wind Waker and Skyward Sword among my top Zelda games (under Ocarina and Link to the Past, of course). My point being that even though I personally don't like TP it doesn't mean it's a bad game because some people say it's the best. It's all opinion and I'm just glad I get to play lots of Zelda this year and maybe next too! @krunchykhaos, Hey bro, you know that I'm just ribbin' ya... right? Its all in good fun. Maybe you can't read sarcasm well. BTW, I fact checked my earlier statement and it was indeed true. WW is better than SS. Its been scientifically proven. @skjia, While the entire Zelda line are chock full of excellent games, TP might be my favorite... but so hard to pick just one fave. I can't separate a game as it stands today from the whole experience of the time in which it was released (played), and each major Zelda release (with the exception of SS, which was practically garbage) is always so good. Side-by-side today, the orig 8-bit LoZ isn't as good as TP, but in 1986 it was effing amazing, and so it goes with each generation... including WW (excluding SS). And krunchy, its all good clean fun. Don't be mad. @skjia WW was A conclusion to ocarina just as TP was another conclusion. I really can't see how anyone would like WW over SS or TP. I can understand that it's possible and opinions are opinions but WW will always be garbage to me. The game is fun dont get me wrong. It's not the game I hate. It's the characters and how they chose to tell the story and what they chose to put in it. It's just stupid to me. I can understand, especially since it's still a few years off! Nintendo should have rolled this out hard, they would have owned E3 with it. This along with a Metroid game would have crushed the competition.